A little more than two years ago, I had the great pleasure of planning and co-hosting a baby shower for a couple that has played an important role in my life. We have worked together; we have laughed together; we have cried together. When I found out they were pregnant with their first child, Alex, I was ecstatic for them. Selfishly, I was also excited for a perfect opportunity to design, decorate for, and throw a party. And what a party it was...We settled on a sophisticated color scheme of grey and yellow, and I was off and running. 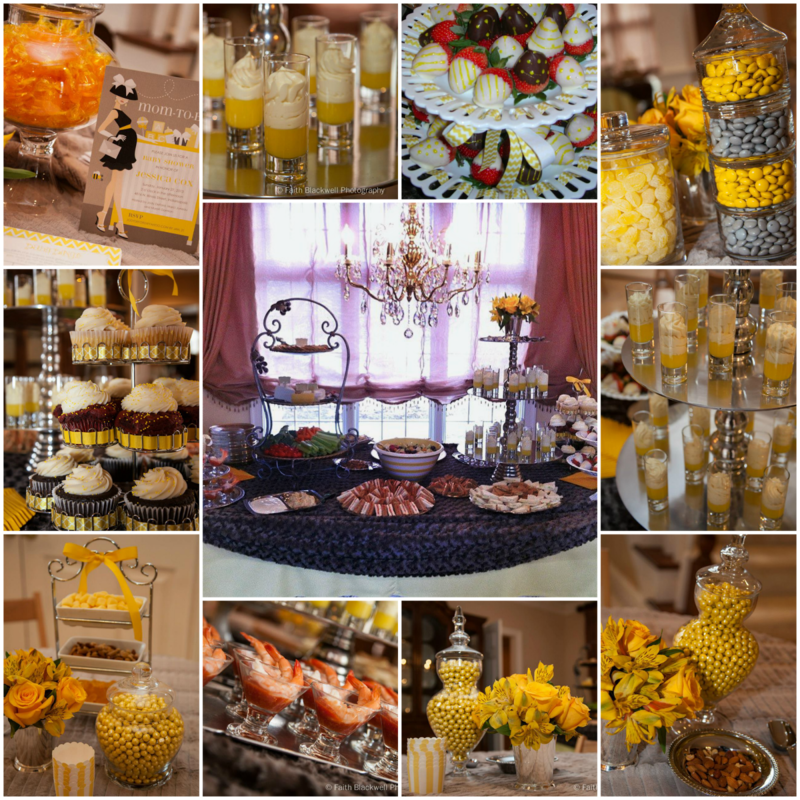 The shower was in January, so we used soft silver grey faux fur baby blankets to top tables skirted in yellow, and decadent apothecary jars filled with all manner of color coordinated sweet treats did double duty as decoration and dessert. At the end of the day, I had a large jar of left-over irridescent yellow Sixlets to take home. They gleamed like pretty little pearls in the shapely glass jar, so I left them on display in our living room. Two years later, that jar is still nearly full of (what are now likely stale) yellow Sixlets. 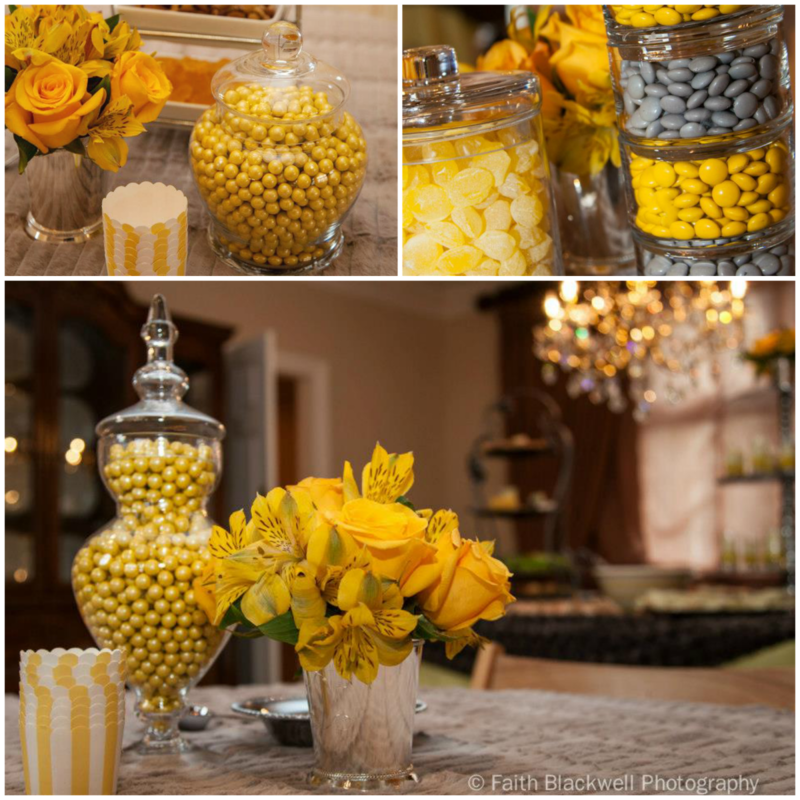 I share this story because Alex's parents will never be able to leave a candy jar on a side table in their living room; and because Sixlets are something that will never be a part of another party for Alex. I want people to know why. I want people to know about the very rare, debilitating condition that Alex was born with, called Prader-Willi Syndrome. I want people to know about the very real need for research on this largely unknown condition for which there is currently no effective treatment or cure. 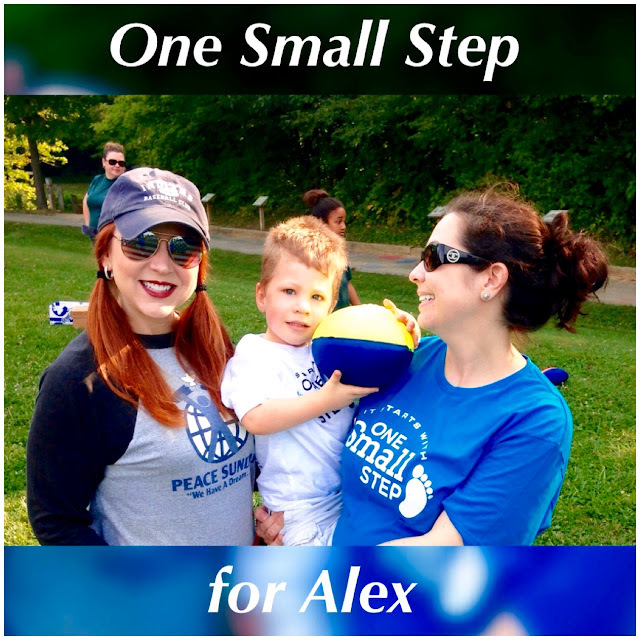 Awareness is the first small step toward changing Alex's life and the lives of 30,000 children in the US and thousands more around the world. 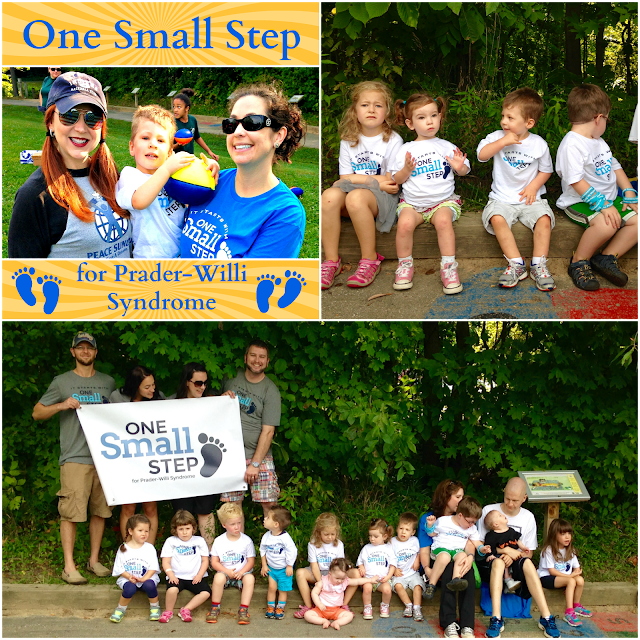 Prader-Willi Syndrome (PWS) is a genetic disorder, though it is not inherited. The hallmark of the disorder develops between ages 3 and 8, and is termed "hyperphagia." With hyperphagia, people feel an overwhelming urge to eat. They feel like they are starving, an no amount of food makes the feeling go away. As if that weren't enough, people with PWS have very slow metabolisms, and even as adults should consume no more than 800 calories per day to avoid becoming morbidly obese. People with PWS may have normal IQs, but because of their inability to control their appetite, they cannot be left unsupervised at all. They cannot drive a car; go to the movies with friends; go to college; or have a job. Kitchens and trash cans must be locked down, and anything in any way edible must be monitored. They also do not vomit, so when over-eating occurs, many die from a ruptured stomach, bowels, etc. PWS is fatal. People with PWS have a high likelihood of “binging” and ultimately dying from this binge, and/or dying from complications associated with morbid obesity. There is currently no cure, and no treatment for this hyperphagia, and/or the anxiety and many emotional issues that come with the feeling of constant starvation. Yet, there is hope. A group of leading PWS researchers have recently conducted a small pilot study, and found a drug that actually may help to curb the hyperphagia, which would allow these kids to live relatively normal lives. This is quite possibly the biggest and most exciting breakthrough to ever happen in PWS research. But, a larger clinical study is needed before any child with PWS can be prescribed this medicine, and because the population affected is so small in comparison to other diseases, commercial sponsorship and funding for continued research isn't readily available. Thus,the families of those who suffer from PWS are working hard to raise the more than 1 million\dollars necessary to fund this critical research. I was honored to join Alex and his mom for a grass roots fundraising walk on Labor Day weekend, where I also had the opportunity to meet several other PWS children and their families. These kids and their families are amazing, and the support network they provide each other is heartwarming. But it's not enough. More people need to know about this debilitating condition, and about the opportunity to help change the lives of PWS children in a profound way. Every story shared, and every dollar raised, is a small step in the right direction. If you'd like to learn more, or find out how you can help, you can do so here. Thank you for taking the time to read about Alex and about PWS.